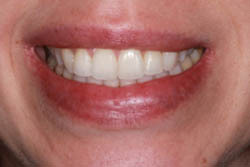 Six Month Smiles focuses on the teeth you see when you smile and greatly reduces the amount of treatment time needed. The brace uses custom-fitted wires and brackets, which are tooth coloured for increased discretion, making Six Month Smiles one of the most unnoticeable fixed brace treatments. 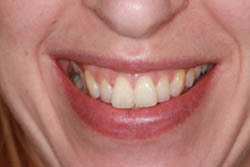 What conditions does Six Month Smiles treat? 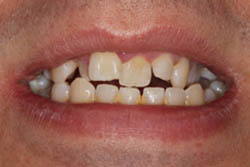 Six Month Smiles can treat a whole range of problems, from misaligned bites to crowding and gaps between teeth to overbites. However, a full assessment with one of our dentists will be needed to decide if Six Month Smiles Corby is the ideal treatment for you. 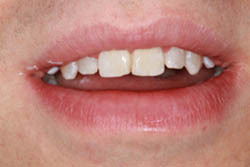 As Six Month Smiles only treats the teeth you can see when smiling, treatment times are a great deal less than most fixed braces that can sometimes take up to 3 years. 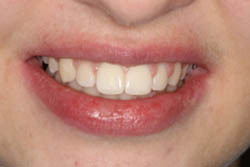 A usual treatment time for Six Month Smiles is as the name suggests, six months, after which your braces will be removed to unveil your gorgeous new smile. As with all orthodontic work there is some initial discomfort caused by the movement of the teeth, but you should soon become accustomed to this. 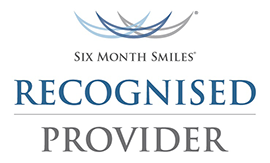 Six Month Smiles Leicester treatments use the low forces to move your teeth, so the pressure your first feel will soon become unnoticed. 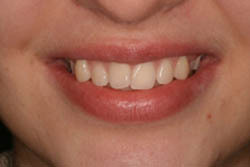 Click here to see our orthodontics case study gallery.